At the heart of Southeast Asia, Thailand, the “Land of a Thousand Smiles,” is a country proud of its unique culture and famous worldwide for its cuisine. Thailand also offers miles of tropical beaches, lush rainforests, exhilarating cultural attractions and excellent scuba diving. With the Gulf of Thailand on the east and the Andaman Sea on the west, diving opportunities include fringing reefs, deep drop-offs, wrecks, walls, caverns, tunnels, pinnacles or open ocean seamounts. 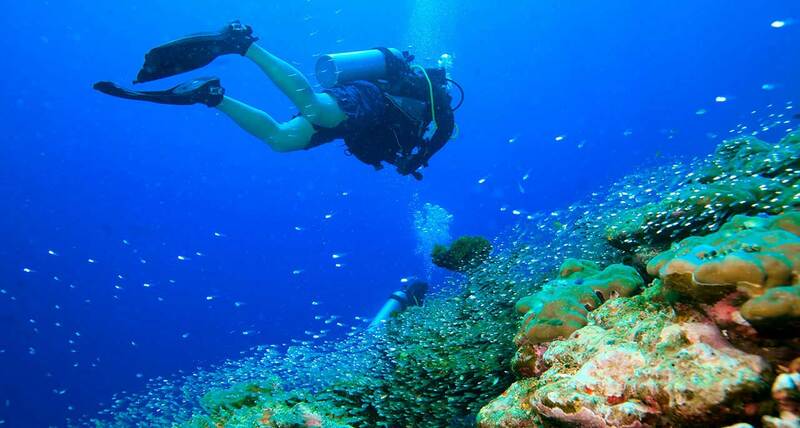 The Gulf of Thailand offers divers an amazing range of diving destinations. The beautiful island of Koh Tao, along with the pristine islands of Koh Samui and Koh Phangan, are must-visit dive destinations. Located in the north of the gulf region are the popular destinations of Pattaya and the unspoiled island of Koh Chang. These locations are world famous dive destinations with access to a range of different sites to suit divers of all levels. Many divers begin their adventures in Phuket, as some of the top Andaman Sea dive sites are within easy reach on a day trip or live-aboard. Khao Lak is fast becoming a favorite for many divers and Phi Phi Island is also a popular destination in this region with easily accessible dive sites to explore. The south-western coastal town of Krabi is the jumping off point for the enchanting Koh Lanta archipelago, as well as stunning Koh Lipe. Thailand is an amazing dive destination and there’s a lot to explore underwater in this tropical paradise. Ask anyone who knows about the region and the first place they will mention is the Similan Islands. 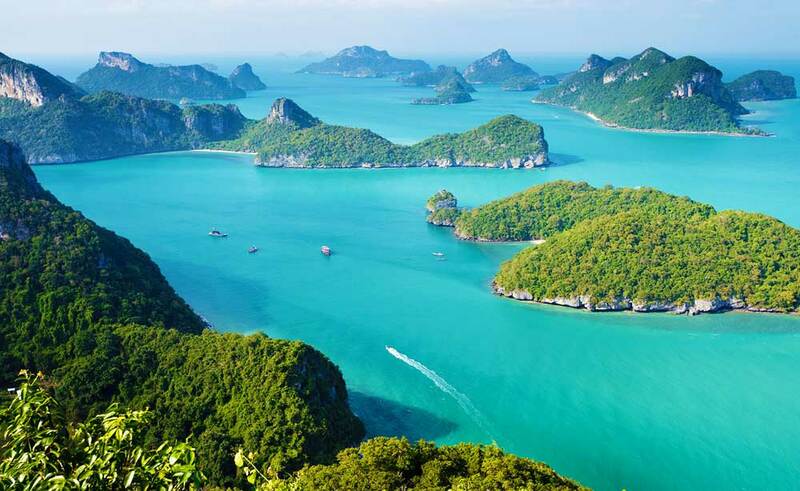 This small collection of islands set in the beautiful Andaman Sea are the jewel in the Thailand diving crown. Topography ranges from stunning rock formations and beautiful age-old gorgonian sea fans to colourful corals brimming with exotic marine life. 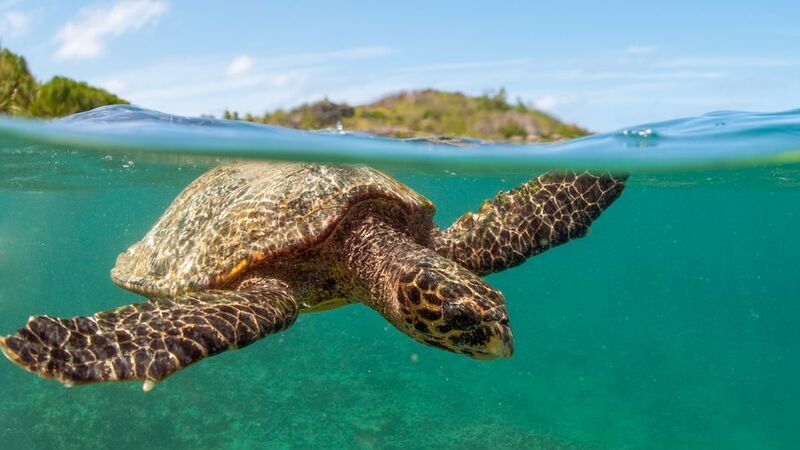 World class dive sites pepper the area such as West of Six and Elephant Head Rock which are among the finest in the country and as good as anywhere in Asia. One of the best features of diving in the Similan Islands is its 2 distinct types of dive site – deep water boulder formations and pretty coral gardens.